zone in the Resistance. Coffee stop in Bottisford park. 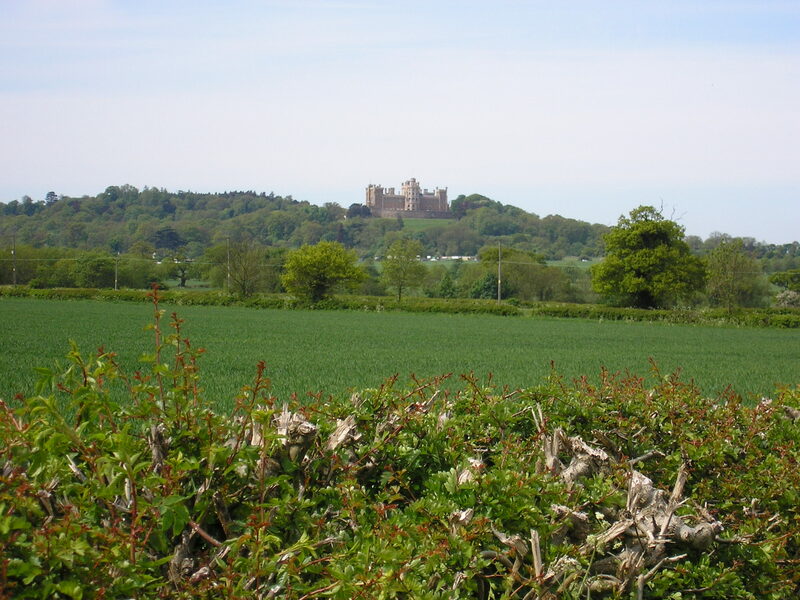 Bit confusing around Belvoir – impressive view of Castle. 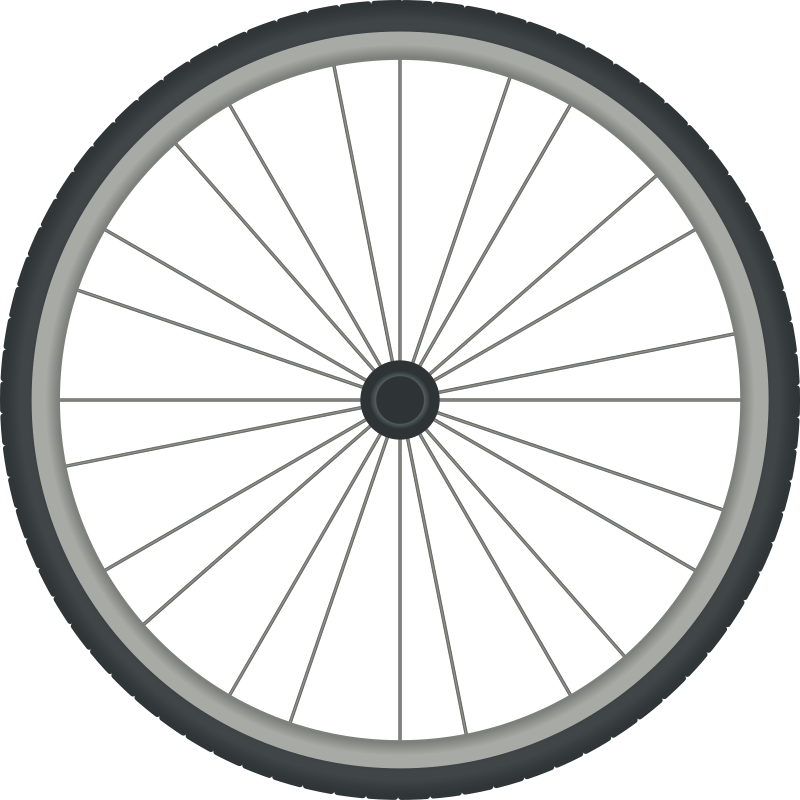 The hills have started again – rest by cemetery – up and down – bit odd route in Eaton but after roadside sandwich break arrived Melton Mowbray (Harboro Hotel) 13:45. Busy public house – TV screens, BBQ night, but fairly relaxed staff. Bikes in Pool room. Watched end of Monaco GP (Rosberg won) – while waiting for Margaret and David who arrived just before 5ish. (David having wobbly turns – worrying) Fire alarm went off – stopped as we got out of room – poss. BBQ starting up!! Walked to Witherspoons restaurant and rambled back through park. Chocs and coffee in our room. All seems to have quietened down now – 10:30ish. Sunny but windy. Alison and Mike joined us to see us off. Left 1030ish. I threw another wobbler after stressed on first hills into wind. Bandana helped but still feeling heavy legged. Stopped at Tugby met two lads cycling and man and little boy – all very interested in ride. Sandwiches (substantial) for lunch at Pub. Battled(!) on up and down to Market Harborough. Good route in, directed to Travel Lodge (£38), helpful receptionist – bikes in laundry room. Good impression of this town – good desserts. Should be able to rejoin route very easily. 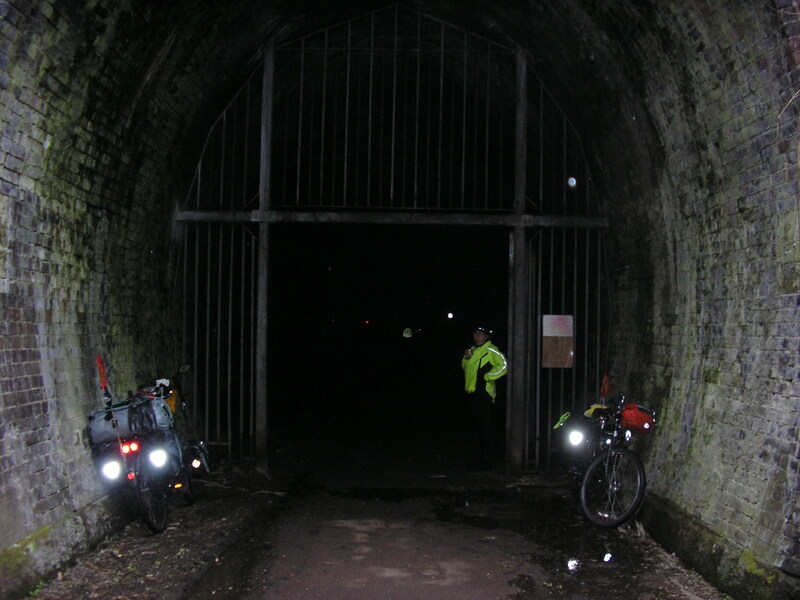 Lights essential for riding through Tunnel! helped too. Followed route of Northampton and Lamport railway – Heritage line. Not a bad route through – still wet, but too early and nothing to make us stay. Stopped in Salcey Forest cafe – very friendly staff and good bacon and sausage rolls followed by apple pie. Again nowhere to stop so on into Milton Keynes and followed NCN6 along Grand Union Canal. Nice chat with barge liveaboard (would “warm showers”, but nowhere for the bikes). Found Wellen Lake Premier Inn – full- directed to Furston Lake Premier other side of Milton Keynes, still on route but now NCN51. GPS tracked route through Milton Keynes market place (interesting). Very mucky bikes let in through back door and into hotel room. Longest journey to date!! Very, very wet again. Gritty tracks to Wilmslow – coffee in bus shelter – very kind lady offered us tea. Cakes from the market. Lunch in another bus shelter at Poundon – still very, very wet. Entered Bicester and found Info. Centre at Bicester Village Outlet – shopping “City”!! Helpful staff found B&B in what she said was Hampton Poynton – couldn’t find it – asked Taxi driver (more pouring rain) who happened to know The Happy Lodge, as it was called, and said it was actually in Kidlington – still on the route so arrived to find another lovely oriental lady (Sue) who was putting us in a lodging house down the road – suits us and we will cook supper when the kitchen is free!! (£55) Forecast still not good for tomorrow. Things drying in the boiler room!! Woken up by water pouring through hall ceiling from upstairs shower room at 5 a.m.,so Gerry had to call Sue. A rude awakening for everyone. Wettish start to ride but soon cleared. Interesting ride through Oxford and on to the Thames Path, chat with bargee and american ladies who had cycled Coast-Coast in USA. Left NCN51 for NCN5 and started loop round Abingdon. Stopped for provisions at Radley Community Shop and got invited back to local’s house for tea – gave him a break from decorating, he said!! 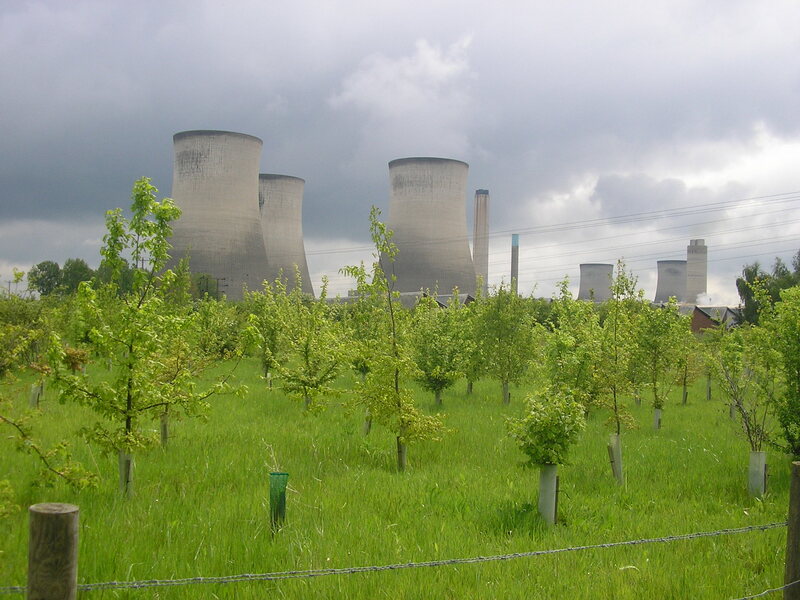 Tracks to Didcot – lunch looking over old power station towers. Very roundabout route round Didcot to avoid STEPS over railway line. Few hills starting en route for Wallingford – I started to flag after Ipsden – plodded on, possibly to Premier Inn at Reading. Thought The New Inn at Kidmore End would be good but full, so on to Reading – short stretch with a “sting” hill at Tanners Farm. GPS found the hotel street in Reading and we found the Thamesside which could lock up bikes, had a great bath and a very good meal if a bit pricey!